When Sean and Catherine decided to build Airport Manor B&B, they wanted to have a home that would provide guests with an experience that is homely and comfortable. 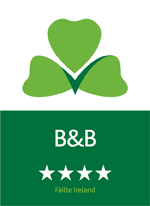 With over thirteen years’ experience looking after guests, their B&B is the epitome of luxury, comfort and relaxation. 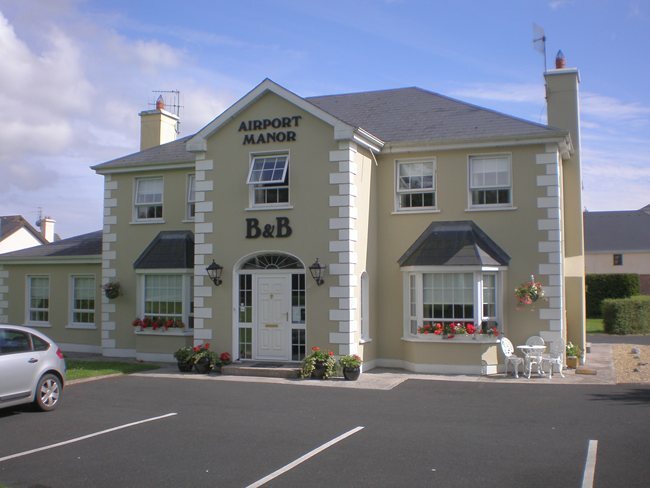 Airport Manor provides modern comforts alongside traditional Irish warmth and charm. The spacious en-suite bedrooms in this home are gorgeous. The tasteful décor lends itself to comfort and relaxation. After a peaceful night sleep, you can look forward to a delicious breakfast of your choice, cooked to perfection. Sean and Catherine love traditional Irish music and Sean leaves his guitar in the guest lounge and is delighted to sing a few trad. songs on request. What a lovely way to spend an evening. Airport Manor is the ideal touring base as it is the gateway to the Mid-West. It is only a five minute walk from Shannon town with its fine array of shops, restaurants and bars. It is only 3 miles from Shannon Airport. Your hosts will be delighted to help with your vacation plans and have a wealth of local knowledge that they are happy to share. Picture this, an idyllic night spent in a comfy bed, a wonderfully delicious breakfast, a fantastic day sightseeing the beautiful region of Shannon and then a welcome return to the peace and luxury of Airport Manor. Two Golf courses close by. Great touring base for the Mid-West of Ireland. Bunratty Medieval Banquet or Bunratty Tradition Irish Night bookings may be arranged on request. You can book Airport Manor Bed and Breakfast Accommodation through our secure online booking facility by using the ‘Book Online Now’ form above. You will receive an instant e-mail confirmation for your booking.